Seat aims to attract performance fans with cars such as the 296-hp Cupra Ateca. WOLFSBURG -- Volkswagen Group believes its reinvigorated Seat unit can now compete against Fiat Chrysler Automobiles' Alfa Romeo brand in Europe, an ambition that failed in the past. Under former chairman Ferdinand Piech, VW Group tried for years to make Seat a rival to Alfa Romeo, but the Spanish automaker lacks the sporty Italian marque's aspirational appeal and a dedicated fan base like Alfa's Alfisti. VW Group's new CEO, Herbert Diess, believes Seat can appeal to younger people who don't remember Alfa Romeo's glory days. "Young, sporty, desirable, emotional - this is how we are positioning Seat a little higher," Diess said while presenting the company's second-quarter earnings here Aug. 2. "Today, Seat has a much better product mix than just a few years ago and has the youngest customers in the group network. I believe this brand still has plenty more potential," he said. In Europe, Seat is now better known than Alfa Romeo among young people, Diess said. "For people our age it is a fantastic brand, but ever since I can remember Alfa has been on the decline," he said. “Ask a 25-35 year old about Alfa, they are at a loss, they have no idea what Alfa is,” he said. Diess is refocusing VW Group's portfolio of car brands. By positioning Seat as a sportier alternative to value-driven Skoda and the core VW unit at the top of its volume brands, Diess hopes to minimize the internal competition between the three units. Under CEO Luca de Meo, who ran Alfa for two years while he worked for Fiat, Seat is undergoing a revival. De Meo has turned Seat's Cupra badge used for sportier variants of its mainstream cars into a separate performance brand to create a buzz among motoring enthusiasts. Seat also has expanded its product range into the popular SUV/crossover market and now sells two SUVs -- the Ateca compact model and smaller Arona -- with the Tarraco large SUV due at the end of this year. VW's long-serving chairman, Piech, liked Alfa so much he tried to buy the brand from Fiat Chrysler. Piech's move prompted then-Fiat Chrysler Automobiles CEO Sergio Marchionne to say "As long as I am CEO of Chrysler and Fiat, Mr. Piech will never have Alfa Romeo. It's hands-off. I told him. I will call him and I will email him." Alfa, which was founded in 1910, won its appeal among car enthusiasts with success in motorsports with multiple wins in the Mille Miglia, Targa Florio and Le Mans. Even Enzo Ferrari, founder of the famous Italian luxury sports car brand, was a fan of Alfa, calling it a "first love." Years of weak products like the MiTo and repeated unrealistic sales targets eroded its position in the market. Alfa was supposed to hit 400,000 in annual sales in 2018, up from 74,000 five years ago, but it has since pushed back the target to 2022 and estimates it will sell about 170,000 vehicle this year. Alfa's product range has been expanded with the rear-wheel-drive Giulia Quadrifoglio performance sports sedan and Stelvio SUV, but further new products promised in a 5-billion-euro investment plan launched in 2014 have still to come to market. Seat cannot compete with Alfa’s history either in racing or in engineering. It was founded in the 1950 as a prestige project during the dictatorship of General Franco in Spain, building Fiats under license that were badged as Seats. Volkswagen bought the brand in 1986 to gain better access to low-cost labor and a growing car market. 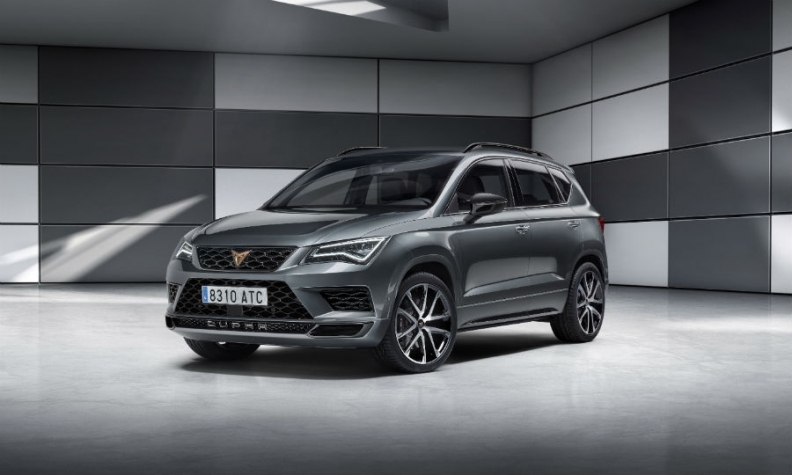 Prior to 2016, Seat accumulated losses of 1.4 billion euros over an eight-year period, only turning a corner thanks to the introduction of the higher margin Ateca. Since then it has posted two straight years of profits during which margins averaged 1.8 percent. The brand's operating profit in the first half increased by 63 percent year-on-year to 212 million euros, VW said on Aug. 1.